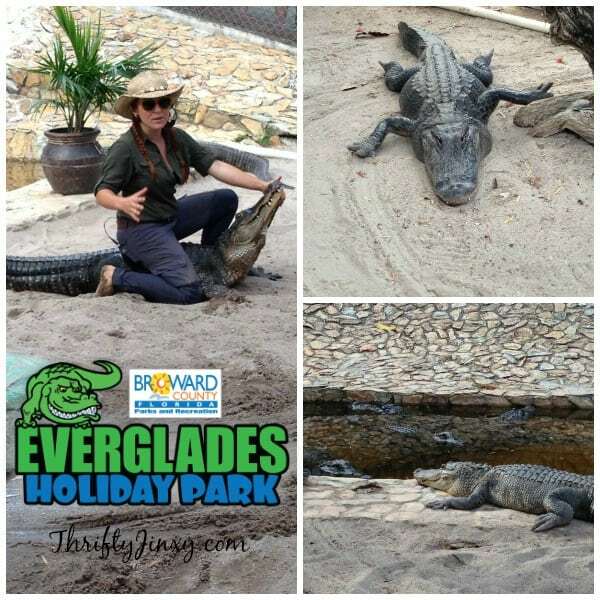 Since my father-in-law lives in Broward County, Florida, and my husband has watched every episode of Gator Boys on Animal Planet, it was only a matter of time until we visited Everglades Holiday Park, home to the Gator Boys, in Ft. Lauderdale, Florida. Most episodes of Gator Boys take place in and around the world-famous Everglades park filled with Alligators! 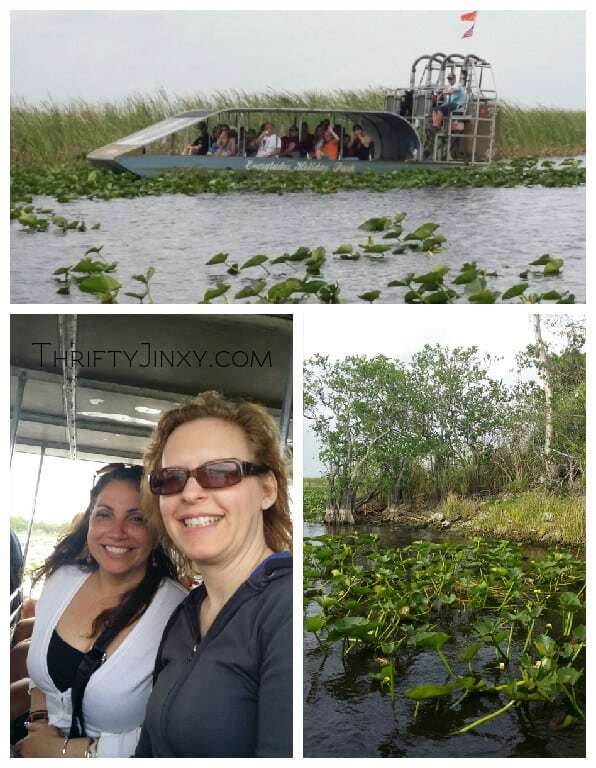 My favorite part of our visit to Everglades Holiday Park was our airboat ride. A knowledgeable guide toured us deep into the Everglades, which gave us an understanding of just how expansive they are. It is an amazingly beautiful habitat. We covered a lot of miles (easy to do in a boat that can travel almost 60 miles an hour), but the most amazing part was when we came to rest in a quiet area where our guide had a suspicion we would see wildlife up close. Sure enough, our guide knew the right locations so we were able to see alligators in the wild – very cool! While seeing the alligators was exciting, I also loved the feeling of traveling over a river of grass and seeing nothing but water, plants and birds for miles and miles. Just beautiful…. And riding the airboat itself was very comfortable. It has a covered seating area to avoid sunburn and raindrops. Back at Everglades Holiday Park after our ride, it was time to watch a gator show! After seeing the gators out in the wild, it was time to learn some more about them and see them in action. 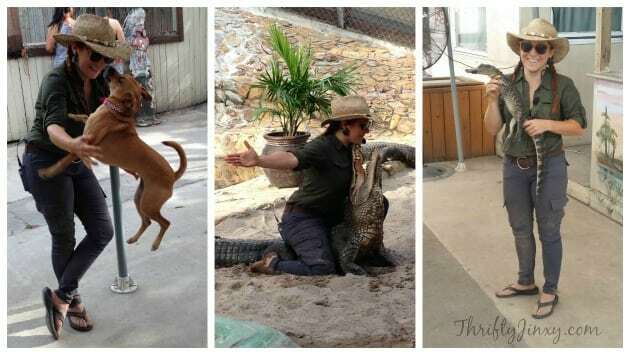 Even though I have watched a lot of episodes of Gator Boys with my husband, I learned even more through this educational and entertaining program. And besides learning a lot, we were thoroughly entertained by the tricks and by the corny jokes during the show. The entire audience from little kids to seniors was enthralled. We were both excited that Ashley presented our show. She is our favorite on the show Gator Boys and seeing her in person you can really see her passion for helping gators and all animals. Everglades Holiday Park does amazing rescue work and you can help by having your picture taken holding a baby alligator for a $5 donation after the show. Will you be in the Ft. Lauderdale area? 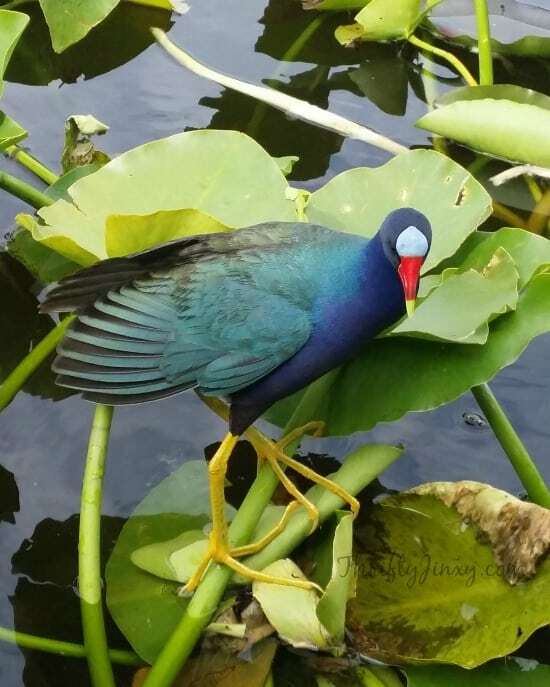 If so, for a limited time you can save $4 off Adult and $2 off Child Airboat Tour Ticket at Everglades Holiday Park. Get your coupon HERE.